Watches.org.uk has over 20,000 watches available to choose from. Why wait, simply select the Sekonda watches you want and have them delivered to your door. Perfect for easy Christmas presents and office Secret Santa. 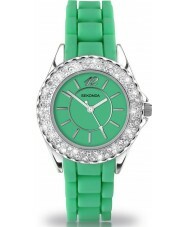 Sekonda watches come in different styles with comfy straps and detailed face and bezel. Sekonda watches also make watches in the Xpose, Seksy, One and Safari ranges for an even greater choice of watches. Sekonda watches have been around for over 50 years and have a global reputation for quality reliable watches that are perfect for wearing around the house, to work and for playing many sporting activities. Innovative and with a unique flair all of their own Sekonda watches are vibrant and chic watches perfect for mens watches and ladies watches alike. Sekonda watches are specialists in top quality movements, quality control and with strict manufacturing guidelines you’ll know that your Sekonda watches have been made in safe hands. Sekonda watches and the fabulous range of Party Time watches include a two year guarantee. Remember when choosing your watches through Watches.org.uk you will find special offers and watches with free delivery, free gift wrapping and excellent service that you probably won’t receive in a busy High Street store.